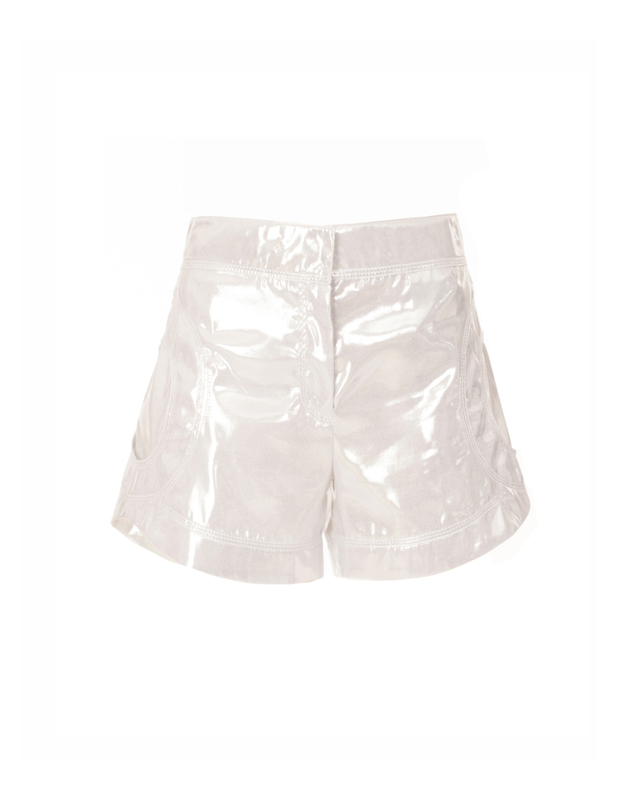 Sophistication is the keyword for these washed lamè shorts. Elevate the charm by combining with a flowing balzer coordinated for a flawless total-white look. .